Booking procedure for your next charter holiday in Croatia has never been simpler. 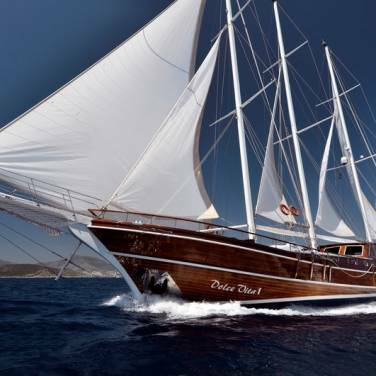 One of your first steps to finding that perfect charter yacht for your holiday in Croatia might be browsing our extensive range of various yacht models, such as sailing yachts, catamarans, gulets, motor yachts and motor cruises. Once you find the type of yacht most suited to your holiday preferences, the next step would be to check if the preferred yacht model is available. The best way to do that is by filling a contact form or a booking form, which can be found in details of every vessel . However, you should bear in mind that a charter inquiry should contain as much information as possible such as an exact date of the charter period, a number of passengers on board, a number of cabins you would prefer on the yacht, port of arrival and departure, etc. 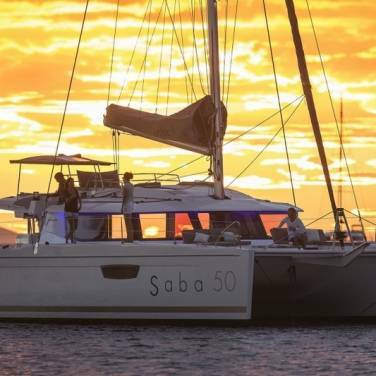 It would also be useful for us to know whether you are interested in bareboat, skippered or crewed yacht charter and whether you would require any additional services during your charter holiday. Please keep in mind that the standard charter period lasts from Saturday to Saturday, especially in high season. This means that (in most cases) it will be required from you to embark and disembark on Saturday. However, it is possible to make an exception on certain occasions, particularly in pre-season and post-season. The more information you provide in your inquiry, the more detailed and suitable charter offer we can provide. Also, if you are interested in chartering a particular yacht model and you cannot find it on our website, please feel free to send us an inquiry via contact form with the description of the desired boat model. Once you fill in the booking form, you will receive a reply to your inquiry within 24 hours on working days, containing a number of available yacht models suited to your request, corresponding charter prices and other relevant information. Charter prices stated in our offer may differ from the ones on our website because the online prices do not include any discounts. The most common discounts are the following ones: 5 – 20% for early bookings, 3- 5% discount for multiweek charters, repeated clients or boat show and up to 30% discount for last minute offers. The availability of the yachts is subject to changes due to high demand, especially once the season starts so we cannot guarantee that the yachts quoted in the offer will be available after a certain period of time. Changes in the availability of the boats may occur in a short time span which is why your prompt reply would be highly appreciated. 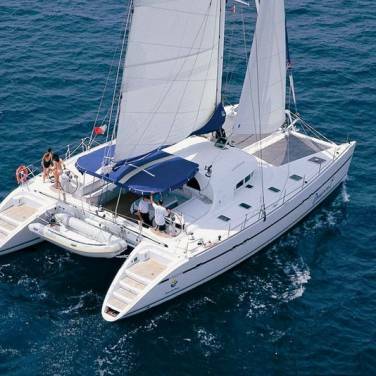 Once you find a yacht you would like to book for your upcoming holiday in Croatia, you can proceed with the booking procedure right away or you can put an “option” on the yacht. The latter means that the boat will be put on hold for a few days or in another words, no other party can book the particular yacht during that time period. Many clients find this option very convenient since it gives them enough time to really think it through and arrange all the other travel details such as purchasing flight tickets, organizing transfers and so on. On the other hand, it is important to know that the existing option on a certain yacht is valid only for a few days. The last step is the booking confirmation, that is, once you confirm your reservation of the yacht, you will receive a Charter Contract and Charter Terms and Conditions. Both documents should be signed and returned to us within timeframe indicated in the Contract together with the copy of the down payment. Once we receive signed contract and advance payment, your booking is confirmed. Please note that the rest of the payment should be settled according to the payment conditions stated in the Charter Contract, that is, 1 to 2 months prior to the embarkation. For charter reservations confirmed within 30 days of departure, the whole charter fee should be settled at once. Once a full charter payment is completed, you will receive a Boarding Pass along with all the relevant information regarding the embarkation.